Product code: 416 Categories: Sold Items, Sold Jewellery. That is the first word that comes to mind when you see this set of brooches. 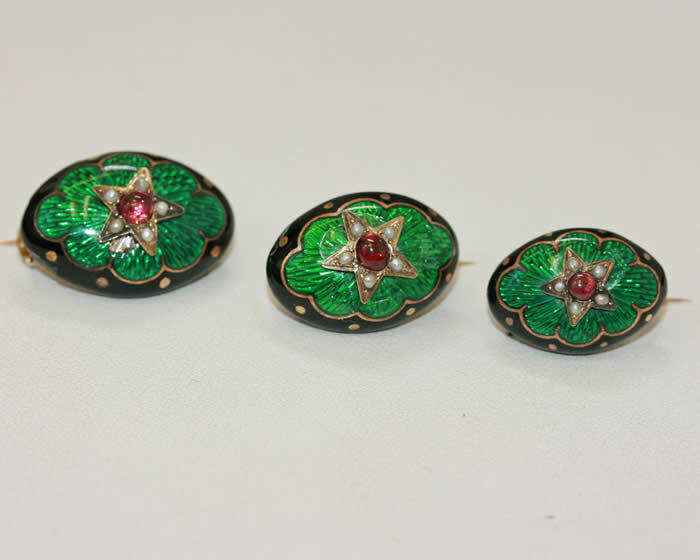 Made in France around the 1890’s, this stunning set consists of three enamelled brooches of graduating size, each set with pearls and a cabachon cut garnet. 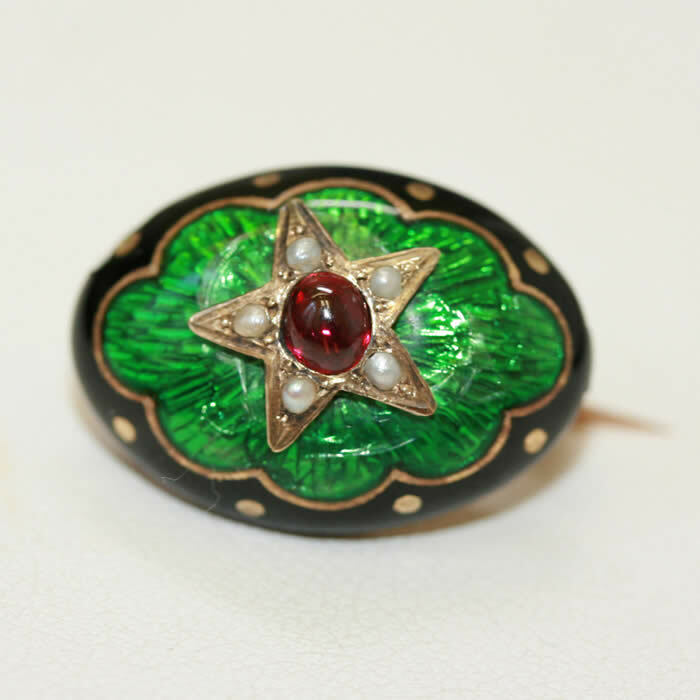 It is so wonderful to see a set of three enamelled brooches, and to further make it even more exciting, they are housed in their original velvet lined box. These can be worn one at a time, however to wear all three at once really does make a statement.